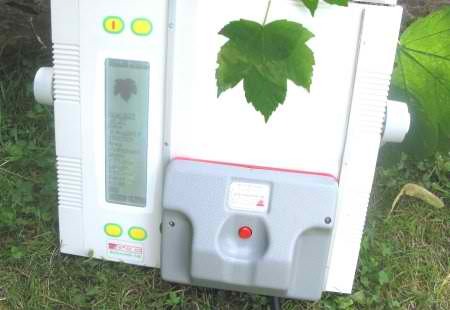 The AM350 is a compact and portable leaf area meter suitable for the accurate, non-destructive measurement of leaf area and associated parameters. The AM350 consists of a high resolution scanner and scanboard with integral data analysis and image storage. A multiposition carrying handle is provided for increased portability and ease of use. 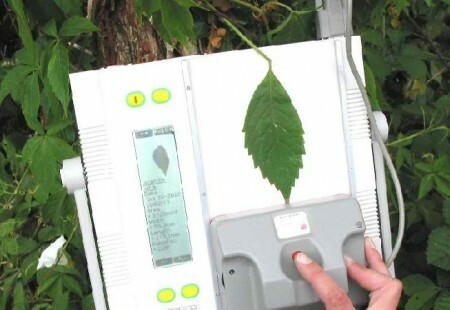 Measurement of leaves can be carried out on the scanboard or an independent plain surface. 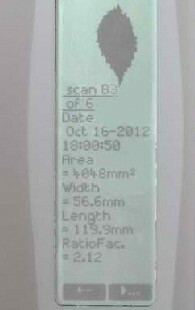 The large, high contrast liquid crystal display offers visual confirmation of scanned leaf area together with the measured leaf parameters. 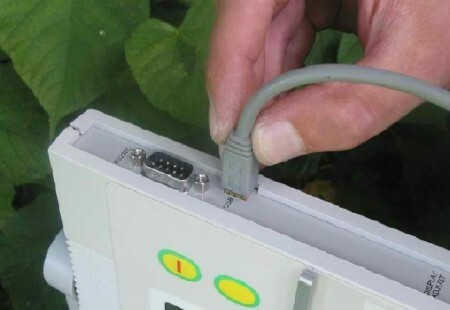 Operation is by menu driven software and measurements may be displayed in mm, cm or inches. An adjustable contrast control makes the AM350 suitable for damaged, discoloured or diseased leaf applications. Using a high speed USB port, the stored image can be downloaded, in bmp or tif formats, into commercially available image analysis software.